This has been one of the longest winters ever! This season, we set new records for cold temperatures and snowfall across the country … and there’s really no end in sight. It’s time to start channeling spring and crossing our fingers for warmer weather. Since it’s too cold to get out and garden, why not create your own flower crafts? 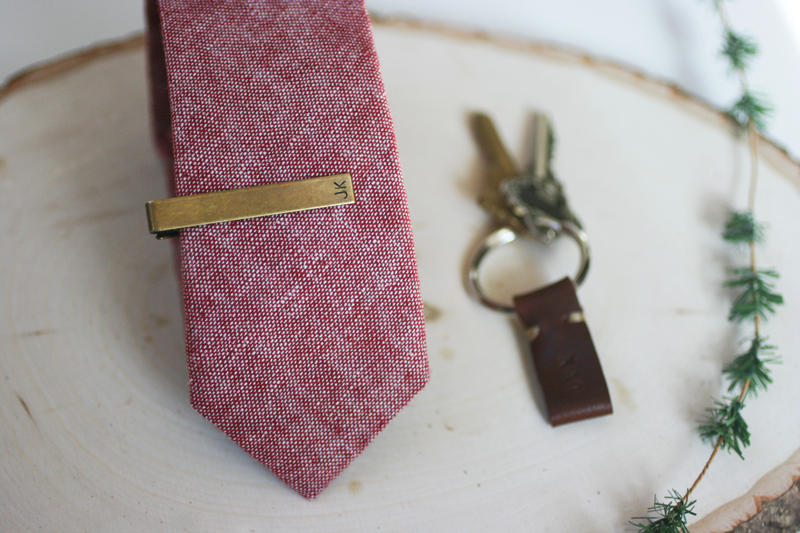 These handmade designs never wilt or die, making them a great alternative to the real thing! Say goodbye to winter blues and hello to summer sun with the free craft tutorials featured in FaveCrafts’ recent eBook, 17 Flower Craft Ideas: How to Make Paper Flowers, Easy Fabric Flowers and More! This eBook is filled with projects for every kind of crafter. If you love paper, fabric, or yarn, you’ll find a project that fits your style. Also, there are a ton of crafts for beginners and kids. 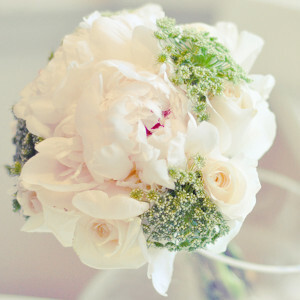 Basically, this is a one-stop-shop for all things flower crafts. Got scraps? We’ll we’ve got projects just for you! Don’t throw away those oddly shaped leftovers from your last craft project. Instead, save them and use them to create the flowers in this free eBook. 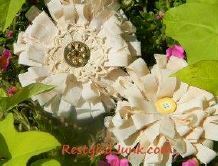 You can make embellishments, accessories and so much more with only a few inexpensive supplies. 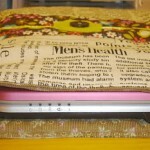 Try out a project and see how easy these crafts are; before you know it, you’ll be hooked on these fabric craft ideas! It’s time to change the way you think of paper crafts. Be honest – do you imagine preschool crafts with glue, scissors and a piece of bright-colored construction paper? Well, leave those ideas behind, because these paper flower crafts are anything but juvenile. You can use everything from crepe paper to recycled newspaper for these fabulous florals. As with the fabric crafts, dig into your scraps and discover how much you can make with a few odds and ends. Give someone you love a paper bouquet or add a flower to something you already own – you’ll love the look of these inexpensive DIY designs? 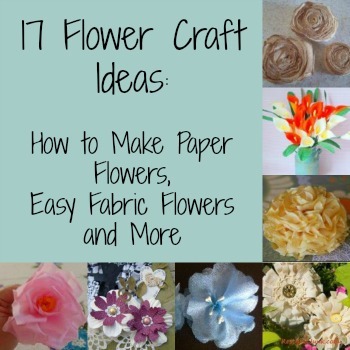 For all of these crafts and more, download a copy of 17 Flower Craft Ideas: How to Make Paper Flowers, Easy Fabric Flowers and More – it’s free! What is one craft you plan to make this spring? DIY earrings are one of these easiest ways to add homemade jewelry into your wardrobe. Sometimes though, it is hard to know where to begin! Well earring fans, you are in luck! We have a new collection for you of 10 DIY Earrings: Chain Earrings, Metal Earrings, Wire Earrings, and More. This free eBook features fabulous projects, from easy drop earrings to simple wire earring patterns. There are a ton of gorgeous DIY earring ideas within this collection, so go wild creating putting your personal touches on these projects. There’s so much to learn from these easy step-by-step tutorials, but the best part is when you’re done you’ll have ten brand new pairs of earrings! 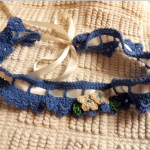 With these projects, you’ll have earrings that are perfect for dressing up any outfit that you’re wearing. These Chain Cage Pearl Earrings will give you a stylish, but budget-friendly look. They are versatile enough to wear to the office, or for a night out on the town. 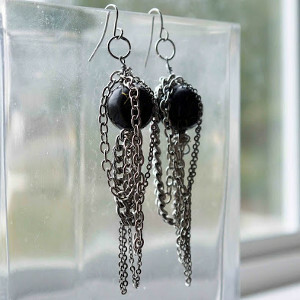 You don’t even need to worry about the chains tangling, since having them all interweave is part of the beauty of this pair of DIY earrings. Find even more chain earrings in this collection! There’s something to be said for keeping it simple. These metal earrings do just that. 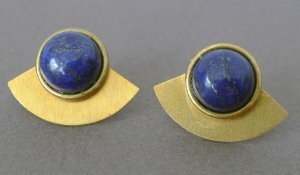 If you want a quick, easy-to-follow tutorial for how to make gemstone earrings like these Egyptian Gemstone Earrings, this free eBook is for you. 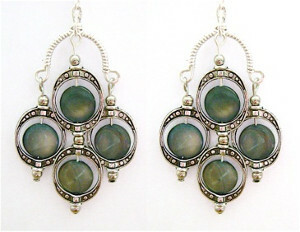 Find more metal earrings like these, and start crafting these fabulous jewelry pieces today! These Enchanting Blue-Eyed Drop Earrings are sophisticated and elegant earrings that would be perfect for making and giving as gifts to your friends and family. Find these and other simple, yet stylish wire earring tutorials in this eBook, and craft delightful DIY earrings. 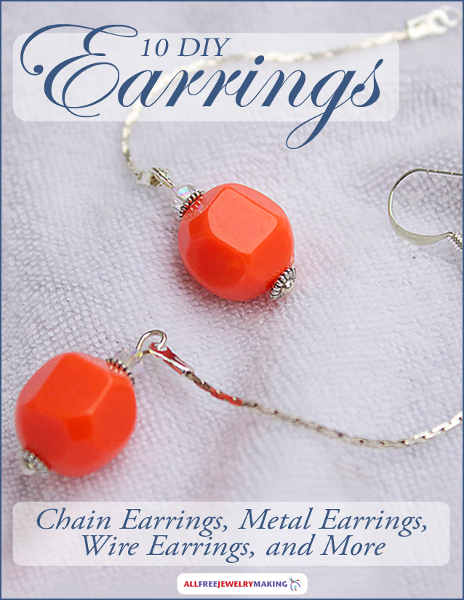 Find these earring patterns and more in 10 DIY Earrings: Chain Earrings, Metal Earrings, Wire Earrings, and More, and be sure to check out AllFreeJewelryMaking.com for the latest trendy DIY earring projects! Which type of DIY earrings do you want to make? 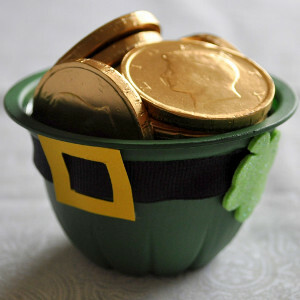 Do you have little leprechauns running amok in your house? St. Patrick’s Day is a blast for little ones, and it’s easy to see why. After all, how many chances do you get to wear every shade of green in your closet and try to find your very own pot of gold at the end of the rainbow? No matter how you choose to celebrate St. Paddy’s Day, one thing remains the same: celebrating St. Patrick’s Day is tons of fun! And thanks to 12 St. Patrick’s Day Crafts for Kids, you and your loved ones can bring a little luck with you everywhere you go on the luckiest day of the year. From leprechauns to gold coins to rainbows, you will find everything you need to decorate and celebrate St. Patrick’s Day in style with this charming new eBook from AllFreeKidsCrafts. From the second you start crafting these fun and festive St. Patrick’s Day projects, your house will be filled with the luck of the Irish. With these St. Patrick’s Day crafts for kids, you and your family will be well on your way to your most entertaining celebration yet. Leprechauns are joyfully mysterious creatures, parading around as the mascot for this entertaining holiday, and it’s that mischievous energy that makes leprechauns a kid-favorite craft idea! Every year, people search high and low for these mythical men. With the crafts in 12 St. Patrick’s Day Crafts for Kids, you’ll now know where to find them. 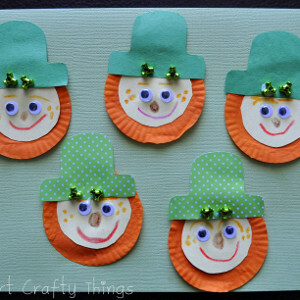 Kids simply love crafting these cute little men in funny hats, and with leprechaun crafts like these Cupcake Liner Leprechaun Beards (pg. 5) your home will be filled with Irish cheer in no time. Sure, green is the go-to color when it comes to celebrating St. Patrick’s Day, but that doesn’t mean you can’t use every color of the rainbow to show how much you love this cheerful holiday! Plus, if you make some of these rainbow crafts for kids, they might just lead you to your very own pot of gold! 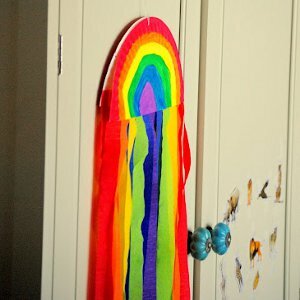 St. Patrick’s Day crafts like these are the best way to make your house simply overflow with holiday cheer, and projects like these Rainbow Windcatchers (pg. 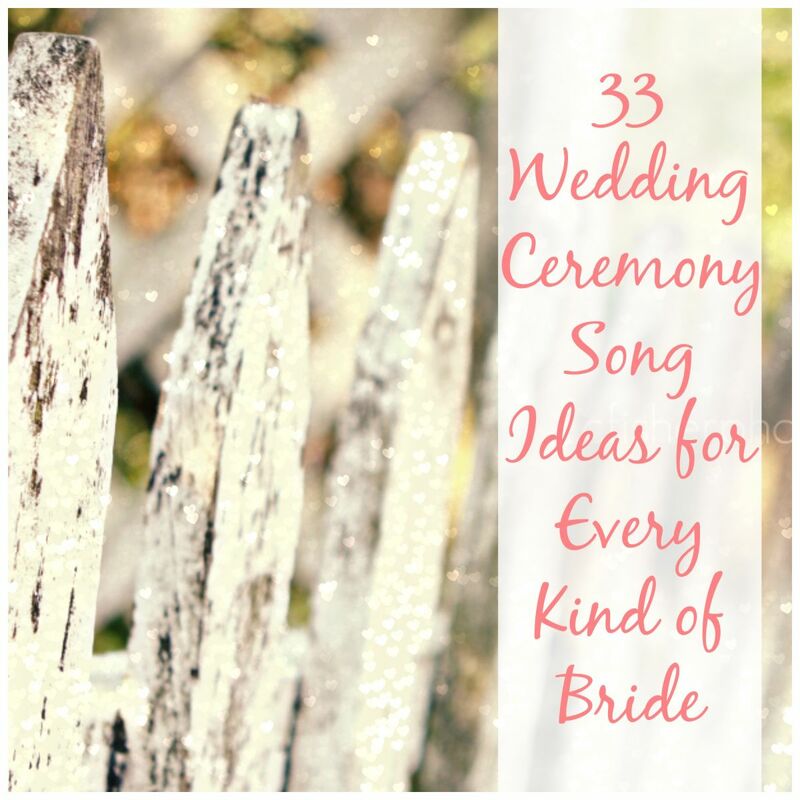 8) are just one of the perfect decorations to hang around the house. St. Patrick’s Day simply isn’t complete without shamrocks and pots of gold! With all the wonderful projects in 12 St. Patrick’s Day Crafts for Kids, you will have hours of fun for the whole family planned out for St. Patrick’s Day. The best thing about this collection of St. Patrick’s Day craft ideas is that there’s no rule…except to use as much green as you possibly can. It’s your lucky day! 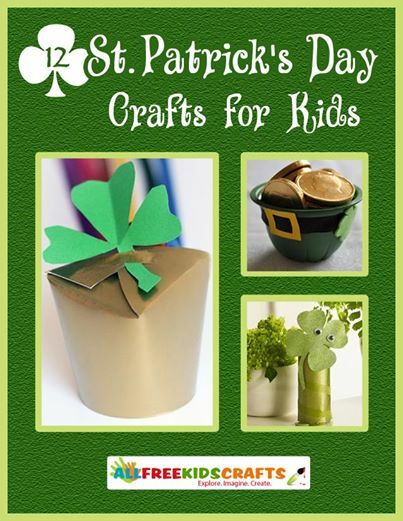 You can download your own copy of 12 St. Patrick’s Day Crafts for Kids by clicking here. How do you celebrate St. Patrick’s Day with your kids? Hey paper crafters! You may be avid card makers and scrapbookers, but when it comes to your paper crafts, you want the kids far, far away. 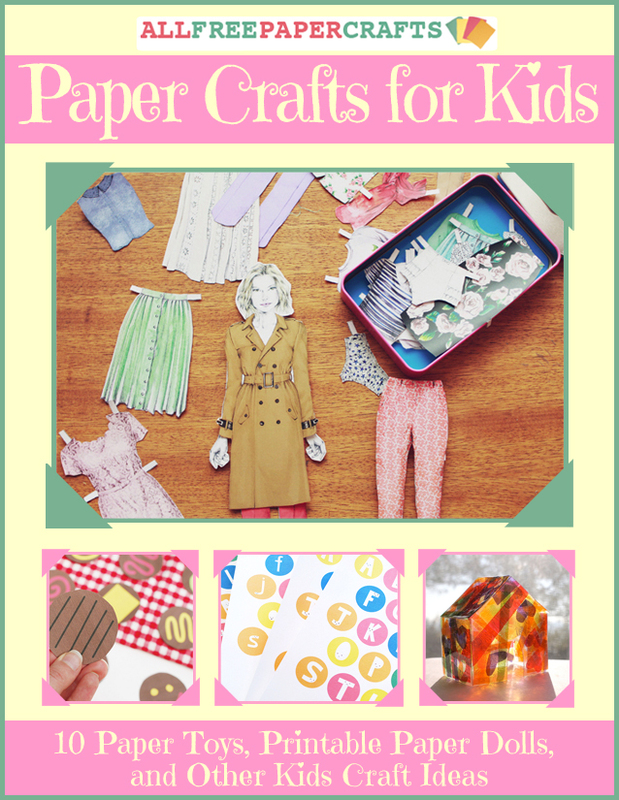 Merge your love for paper crafting with activities you can do with your children when you download the latest free eBook from us at AllFreePaperCrafts! Paper toys are fabulous paper crafts for kids because kids get to spend time making their project, and later they get to play with it! We have a great collection of paper toys included in this free eBook. 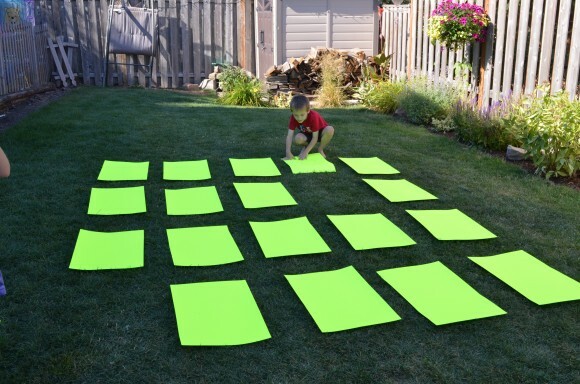 Try making a super easy and fun backyard memory match game with your kids. Though the weather may not be ideal for backyard fun just yet, this craft works in a large family room or basement as well. Gather your mega-sized matching tiles and spread them out across the ground. This craft is easy to make and when completed, kids will get to be active as they race around trying to find a perfect match. Did you have paper dolls when you were growing up? Not only does this collection include a vintage-style printable paper doll with printable outfits, but it also includes innovative paper doll tutorials as well. For example, have you ever made a paper doll out of eggshells before? Help your kids make unique paper dolls that will be fun to play with or display. Stained glass projects were some of my favorite crafts as a kid. Believe it or not, there are ways to get a stained glass effect with paper! 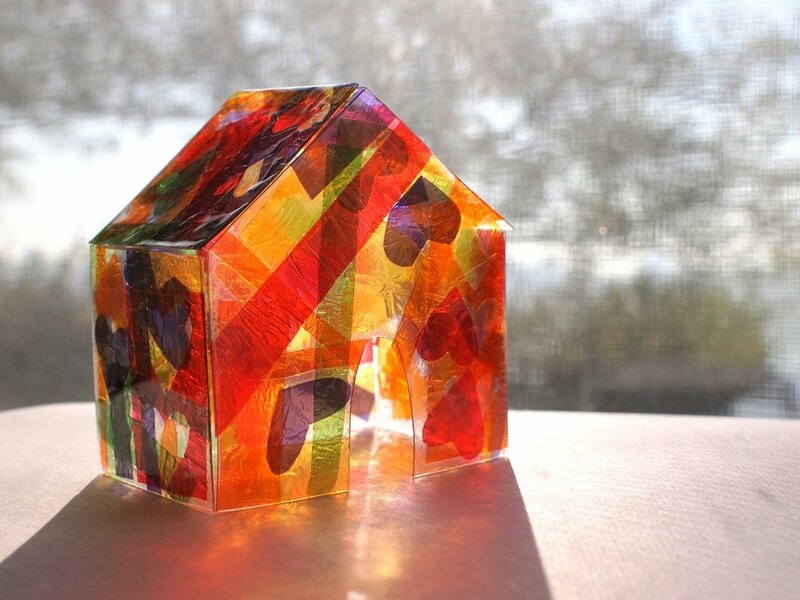 The awesome Tissue Paper Stained Glass House is such a cool kids craft. Your kids can get their hands messy with the glue and tissue paper, and they will get to make a cool little house that their toy dolls can live in. Just look at how amazing it looks when the light shines through! For a comprehensive collection of fabulous kids craft ideas, be sure to download this printable collection! Paper Crafts for Kids: 10 Paper Toys, Printable Paper Dolls, and Other Kids Craft Ideas is a marvelous free eBook that will inspire your family to craft and play together. What crafts did you make as a child? Honestly, the weeks of winter that follow New Year’s Day seem like a waste. Cold winds, snow drifts, icy roads, and no presents to show for it? No, thanks! In my perfect world, we’d fast forward to spring, but unless someone invents a time machine, we’re stuck with this crummy weather for at least a few more weeks. Luckily, there’s a way to stay toasty in these frigid temperatures–in a figurative sense, anyway. These Paper Crafts to Warm Your Heart will keep your mind occupied and your fingers unfrozen. Try out some homemade card ideas and share the warm fuzzies with family and friends. Deck out your home with easy DIY paper decorations, or learn how to quill paper embellishments that you can use on jewelry and cards. So, grab your blanket and get ready to banish those winter blues with these DIY paper crafts. Now that most people communicate via text message and email, it’s more thrilling than ever to find a piece of mail in your mailbox. Surprise your loved ones with these homemade card ideas, and who knows? They might be inspired to return the favor. These DIY card ideas also make beautiful homemade valentine cards. These DIY paper crafts will put a smile on your face as soon as you walk in your door. These projects make marvelous Valentine’s Day crafts, but don’t let that stop you from putting them out all year long! Between an inexpensive paper garland DIY and a simple tutorial on how to make a cupcake topper, you’ll soon see that hearts are appropriate for all seasons. Learn how to quill paper hearts and flowers that are intricate, adorable, and totally versatile. You can use these embellishments for a variety of projects, from cards and home decor to wearable paper crafts. With a little bit of creativity, you can look fabulous without spending a lot of time or money. For more heart paper crafts, check out our free eBook, Ideas for Valentine’s Day: 12 Free Printable Valentine’s Day Cards and Other Valentine’s Day Crafts. What’s your favorite way to beat the winter blues? Let me be clear: I’m no Demi Moore, and I’ve never thrown a pot in my life. Still, whenever I craft with clay, a little piece of me can’t help but wish that Patrick Swayze will come through my front door, anxious to give me a few pointers. Alas, my schoolgirl fantasy will never be realized, but I can still work with clay! Clay is a great medium for making figurines, because there are so many color options. There’s no limit to what you can create with clay. 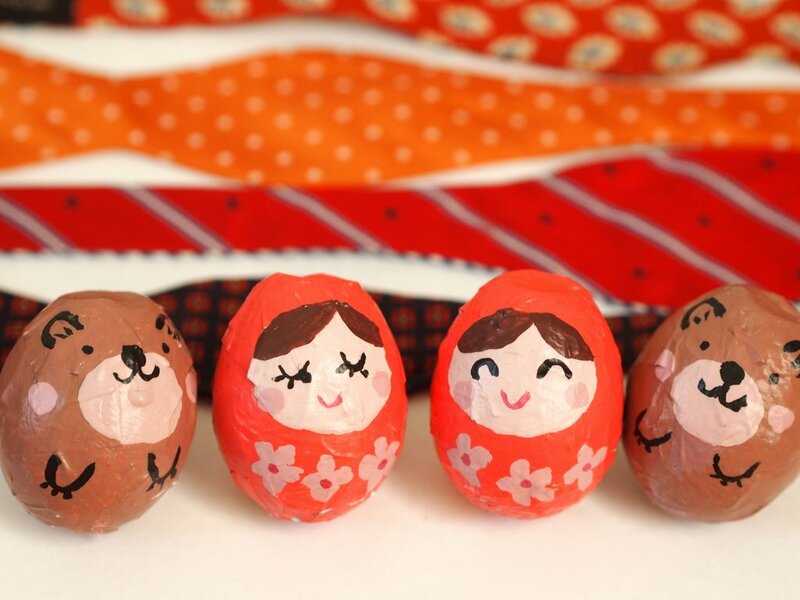 Plus, polymer clay figures are as durable as they are adorable. 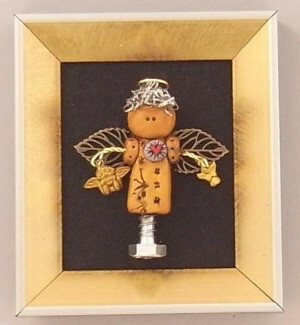 One of the cutest polymer clay projects on FaveCrafts is the Angel of Crafting. This winged guardian is made out of odds and ends you can find around your home, such as screws and steel wool. Whenever you feel uninspired, the Angel of Crafting reminds you that you’re creative enough to make something out of nothing. I have a tendency to lose track of my cooking supplies right when I’m in the middle of making soup. 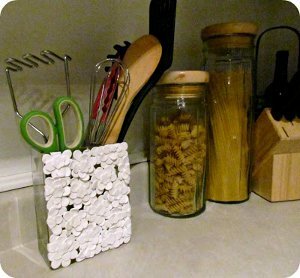 You can upcycle an old vase into a utensil organizer with the Pretty Petal Kitchen Caddy. 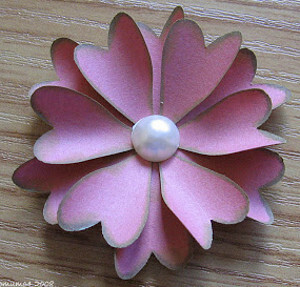 Learn how to use polymer clay cut outs to create a floral or fish scale design. This project sticks to plain white, but you can add vibrancy to this craft by using different colors of clay. 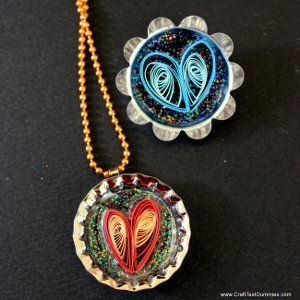 If you’re looking to glam up your jewelry collection, try some of these polymer clay ideas. 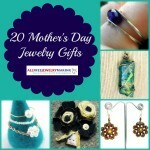 These polymer clay jewelry projects are simple, inexpensive, and fun. 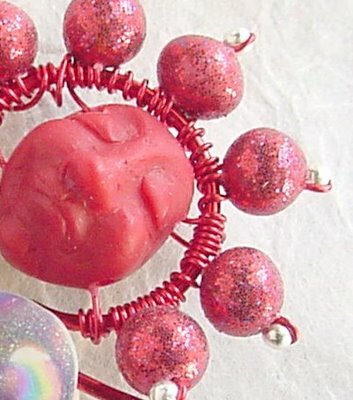 You can learn how to make dazzling DIY clay beads to use on earrings, bracelets, and more. Check out our tutorial on Glitter Clay Beads to learn the secret to keeping glitter from rubbing off on your skin. I’ve only scratched the surface of polymer clay projects in this post. 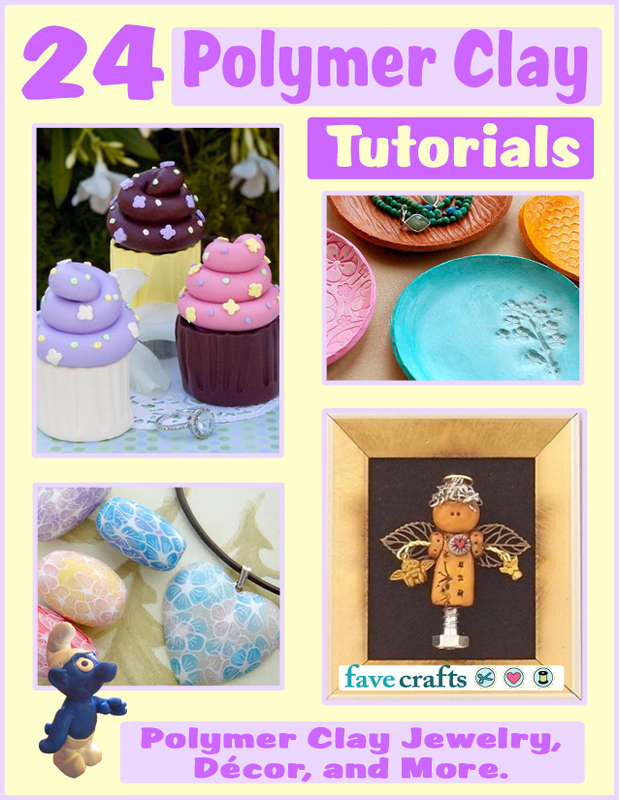 There are tons of polymer clay craft ideas on FaveCrafts that suit your every need. These Faux Tie Dye Coasters are the perfect example. Tie dye remains popular, especially with children, and it’s not just for fabrics. You can imitate tie dye using practically any material, including (you guessed it) clay. These Faux Tie Dye coasters are polymer clay projects that the whole family can help create. Your kids can lend a hand by blending colors for each coaster. 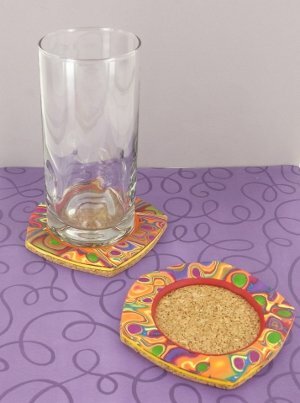 Don’t forget to break out these funky coasters at your first summertime bash! For even more great ideas on how to use polymer clay, check out our roundup of 24 Polymer Clay Tutorials: Polymer Clay Jewelry, Decor, and More. Who’s your favorite movie hunk? Valentine’s Day isn’t just for lovebirds anymore. February 14th may have started out as a day for hopeless romantics, but times have changed. Single, dating, or married, everyone can celebrate this feel-good holiday. It’s the perfect opportunity to tell family members and friends how much they mean to you. The most traditional way to go about this is with a card. Keeping that in mind, the editors at AllFreePaperCrafts put together a collection of super sweet valentine card ideas that work for any budget or schedule. Ideas for Valentine’s Day: 12 Free Printable Valentine’s Day Cards and Other Valentine’s Day Crafts is chock-full of brilliant projects that are festive and fun. If you’re super swamped, try some adorable printable Valentine’s Day cards. If you have your heart set on making something by hand, we have quick and easy homemade valentines for beginners. 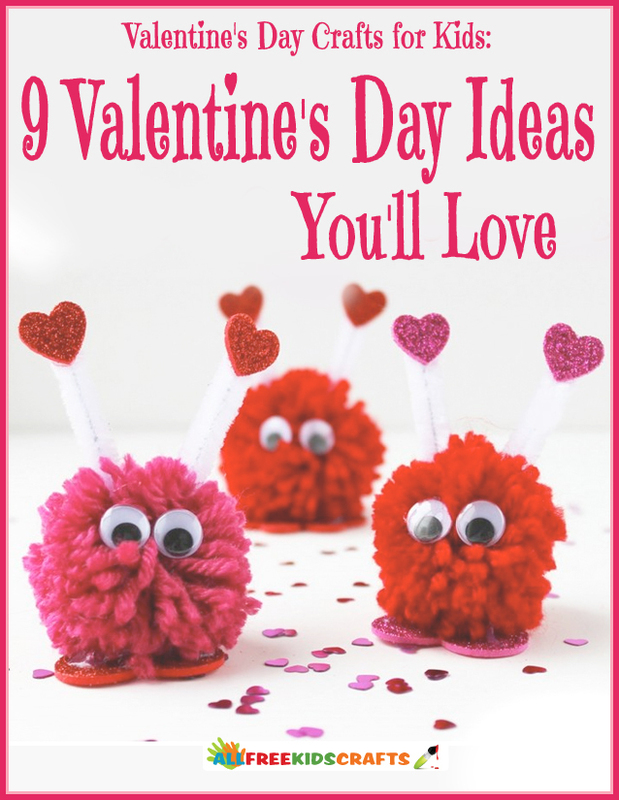 And, if you really want to get into the spirit, check out this eBook’s bonus Valentine’s Day crafts for inexpensive projects you can use to decorate your home. Luckily, “homemade” doesn’t have to mean “hard work.” In this eBook, you’ll find 5 valentine card ideas that are low-cost and lovely, yet require only a little effort. The cards in this collection use a variety of different materials, such as thread, adhesives, washi tape, and paint. You might have some of these supplies lying around the house already, and even if you don’t, they’re available at your local craft store. 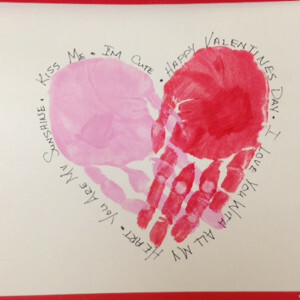 At AllFreePaperCrafts, we have card making projects for every experience level, including some kid-friendly homemade valentine cards like this Handful of Love Card. This valentine card idea may be a bit messy, but it’s guaranteed to melt some hearts this February. Valentine’s Day parties are a great way to keep our minds off the cold, dark winter. If your child’s teacher has planned a classroom party to celebrate this heartwarming holiday, check out our eBook for some completely original printable valentine cards. Sure, it’s easy to pick up a box of valentines at your local store, but chances are your child will end up handing out the same cards as one or more of her classmates. Make her treats extra special by pairing one of these printable valentine cards with a piece of candy, as we did with these Owl and Smarties Valentines. Valentine’s Day isn’t known for its decorations, but once you whip up some of these beautiful Valentine’s Day crafts, it will be. Impress house guests and drop-ins alike with gorgeous paper crafts like this Valentine Hearts Tabletop Tree. We have free printable materials for crafts as well. Check out this Origami Hearts Printable for the perfect paper to use in your Valentine’s Day decorations. This post has only mentioned a few of the fabulous paper crafts that await you. 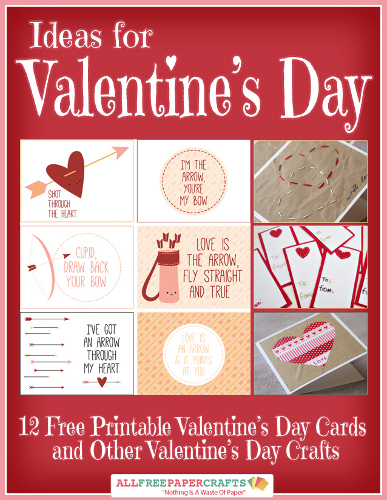 Download your free copy of Ideas for Valentine’s Day: 12 Free Printable Valentine’s Day Cards and Other Valentine’s Day Crafts today! What’s the best Valentine’s Day gift you’ve ever gotten? Over at AllFreeHolidayCrafts.com, we know that Valentine’s Day just isn’t the same without fun decorations, heart crafts, and other cute Valentine’s Day ideas to create. To prove our point, we’ve rounded up our top 10 cute and creative ideas for the holiday into one superb collection. 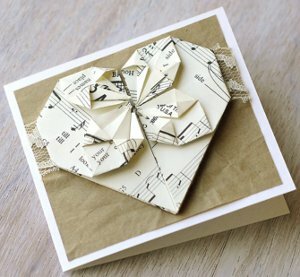 The best part is, Valentine’s Day Ideas: 10 Heart Crafts and Cute Valentine’s Day Crafts is not only free for you to download and store on your computer, but it’s a printable craft collection as well! 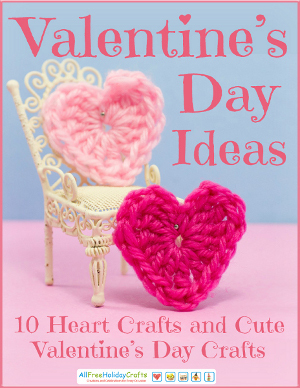 Like the Crazy-Cute Crochet Heart, shown on the eBook’s cover, all the cute Valentine’s Day ideas and heart crafts included in this collection are must-haves. Stop resisting! Grab your copy of Valentine’s Day Ideas: 10 Heart Crafts and Cute Valentine’s Day Crafts today. No matter what you have in mind when it comes to your Valentine’s Day Crafts, you’re no doubt going to embrace the classic heart-shaped symbol. Whether they are made from yarn, paper, or fabric, we’ve got fabulous heart crafts for you to try in our latest eBook. In fact, Valentine’s Day Ideas: 10 Heart Crafts and Cute Valentine’s Day Crafts is filled with as many heart crafts as your heart desires! 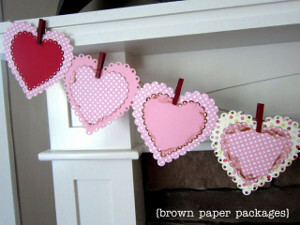 Like this Simple Heart Bunting, all the heart-shaped crafts in our latest collection are devastatingly adorable. While our heat crafts are cute enough to fill an entire collection, we didn’t stop there! 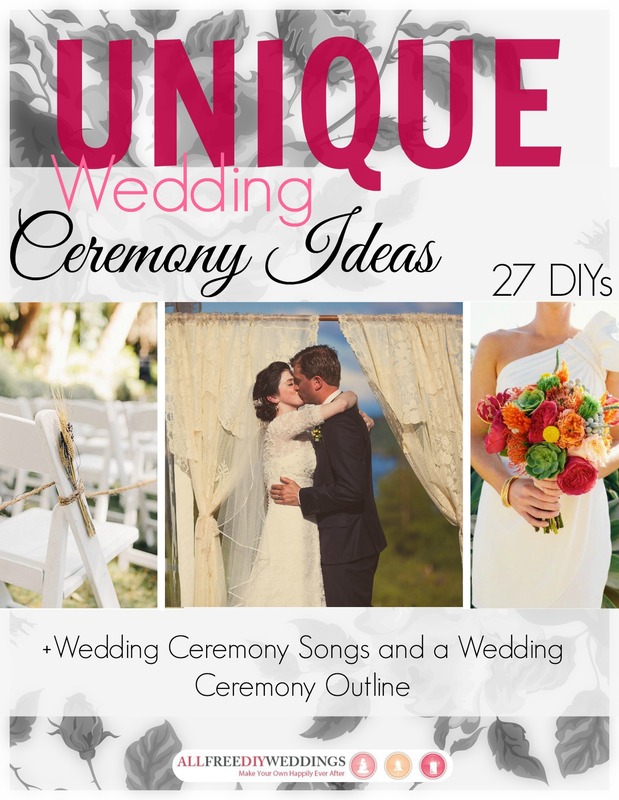 Piled between these 24 pages you will find an assortment of cute and unique ideas for the holiday. 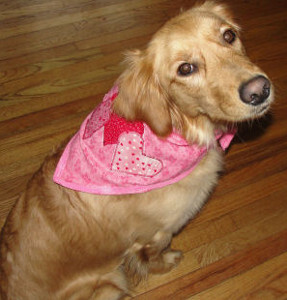 We even have a fun little DIY accessory for your pets, fabric flowers, and a fabulously simple handmade Valentine’s Day gift. Don’t miss another minute of delightful holiday crafting, grab your free, printable copy of our of Valentine’s Day Ideas: 10 Heart Crafts and Cute Valentine’s Day eBook and let the festivities begin! 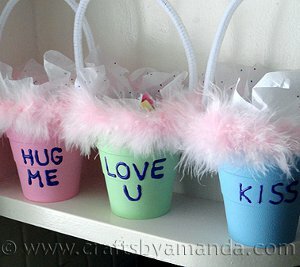 How many Valentine’s Day crafts do you plan to make this year?